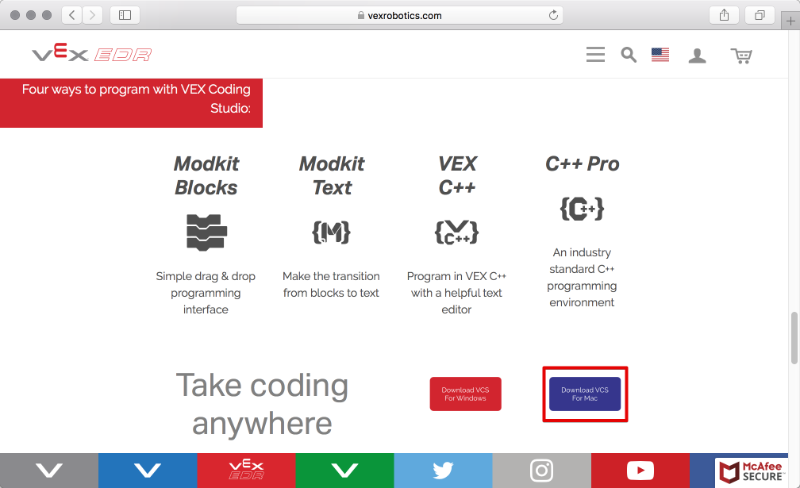 Visit the VEX Coding Studio download site to find the installer for VEX Coding Studio for MacOS. Scroll down toward the bottom of the page where there are Download buttons. Download the installer to your Mac. 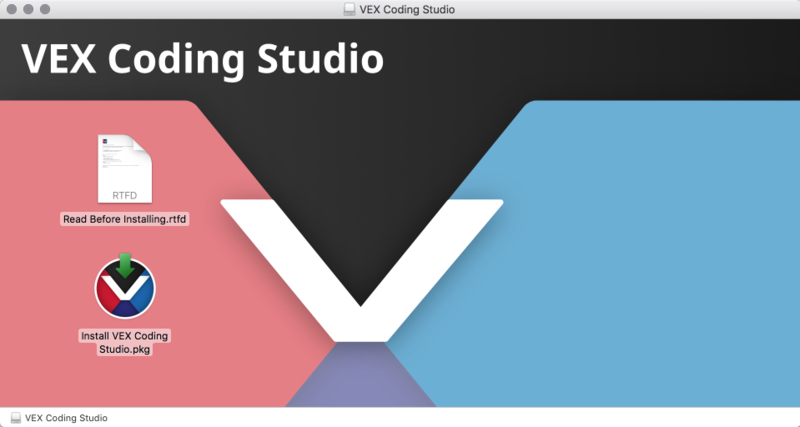 Open the installer and double-click the "Install VEX Coding Studio.pkg" icon to start the installation wizard.